As for the price: Sure, $8000 is a big chunk of change, but, frankly, we’re not all that surprised at the lofty price tag. What TV manufacturers desperately need right now is a luxury product with some big-time margin. The price erosion that has taken place with TVs over the past few years has brought the public to expect bargain prices, even on top-tier plasma and edge-lit LED displays. In order to to justify charging big-time bucks again, the performance margin needs to grow proportionately. OLED provides that opportunity. 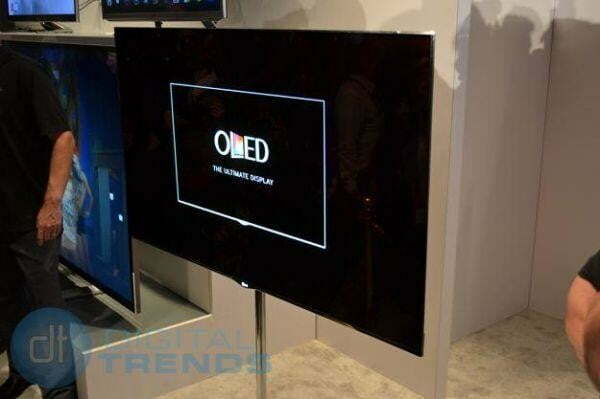 For those not familiar, OLED stands for organic light emitting diode. The technology is similar to plasma in that it requires no back-lighting. However, rather than using rare gasses the way plasma does, it utilizes electrical current to activate tiny red, green and blue diodes. OLED also shares plasma’s ability to produce outstanding black levels and genuinely amazing contrast, but that is where the similarities end. Unlike plasma, which encases the its rare gasses in a heavy sandwich of glass, OLED’s panels are extremely thin and pliable and, therefore, not subject to breakage. They are also extremely light. In the end, what you get with OLED is superior picture quality in a razor-thin, ultra light package with none of the limitations of either LCD or plasma displays. And it looks spectacular. 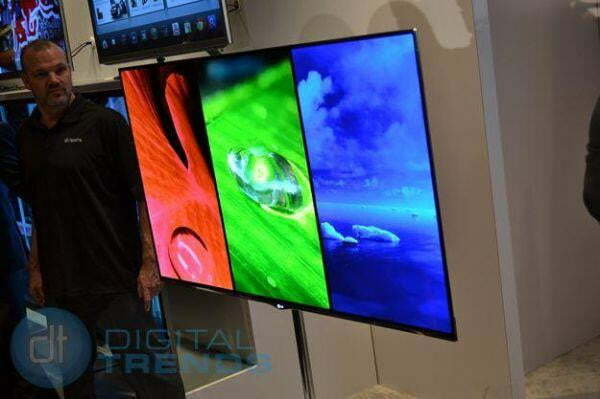 We, along with just about every other CES 2012 attendee, spent a fair amount of time gawking at both LG and Samsung’s OLED displays. They truly are a quantum leap forward in home display technology and it should be expected they will be priced accordingly. Don’t worry, though; OLED won’t be out of reach for the 99% for too awfully long. Word is that if the $8000 OLEDs don’t start flying off the shelf fast enough, that price will start dropping until they do.